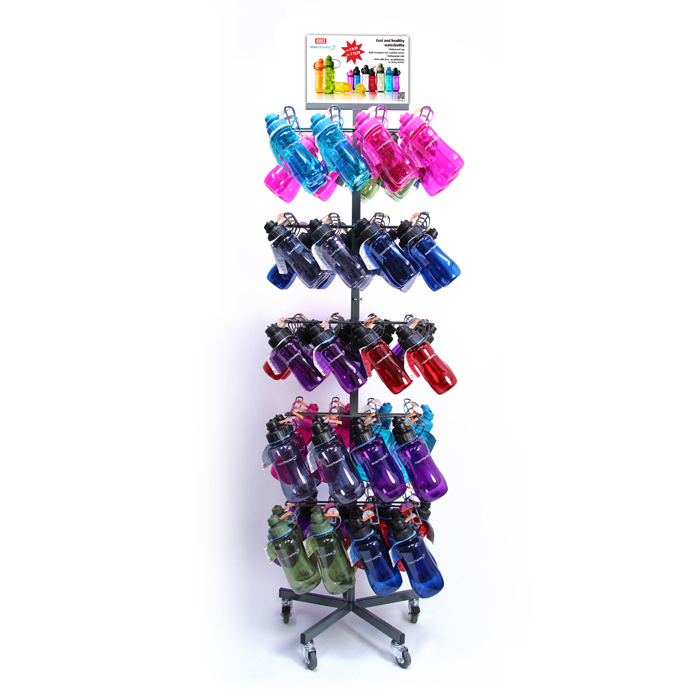 Floor display unit with 40 hooks for WaterTracker water bottles. Can contain e.g. 72 pcs. 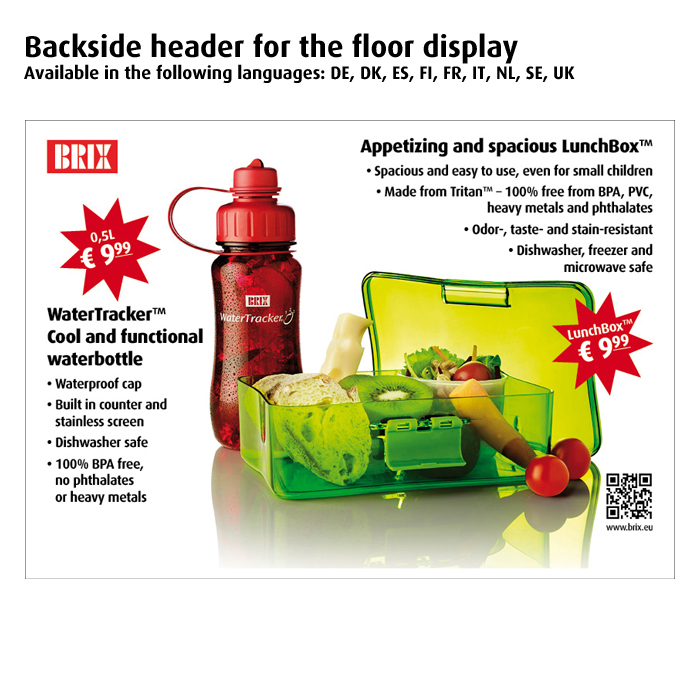 0,5L and 32 pcs. 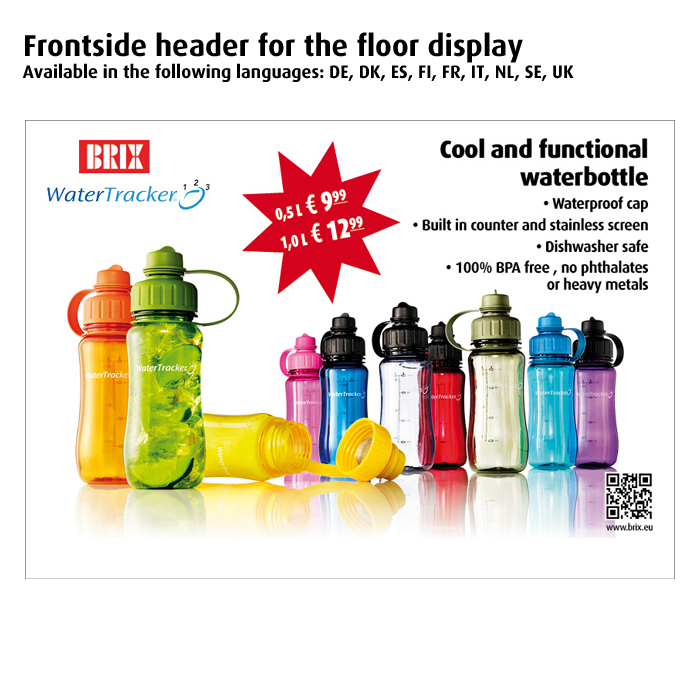 1,0L WaterTracker. Contact our sales team for your individual solution.